Hair care is one of the terms I am always on the lookout for. Why, you may ask? Well, I live on a beautiful island, that is filled with humidity and having that is a key factor. Living on an island means that I will constantly have frizz and I’m always searching for hair tools and hair care products that will leave my hair looking fabulous all day long. And in this constant search for products that work, I found Evalectric. They combine the latest hair care technology and ingredients to give us a full line of products that give our hair fantastic results. I have wavy hair; it’s mostly an in-between straight and wavy that has frizz most of the day, especially if I am out and about, so trying products that work for my hair can turn into a hassle because I don’t have a specific hair type. After reading reviews online, seeing videos and a lot of research, I purchased several products from Evalectric to try out. I wanted to give you the full 411 on them. I got a heat protective cream, a straightener, and a curler. I specifically got these final two because it gives me the chance to try different hairstyles and see how these products work on my hair while being in this tropical (insert humid) island. When living in areas that are mostly humid, it’s very difficult to find products that actually work and have long-lasting results. I have tried every product that I have came across to see what actually works, and I am very pleased with how these products have worked on my hair, considering all the things mentioned above. Now don’t get me wrong, I love the climate we got here, just not the constant battle I have with controlling my wild and unruly hair that at times nothing can control. Before I start with the products and my experience, let me be clear with you. These products have worked on my hair but I have been searching for products for a long time so I have a lot to compare them to. Just because they worked for me doesn’t mean they will necessarily work for your hair type. It’s important to know your hair type, and the things that affect how your hair is or looks; those being products, the weather where you live, and every other thing that may directly affect your hair like such as hormones for example. So, make a list of things that you think may affect your hair, your hair type and products that you have used. After that make a search using keywords that go with that hair type to search for products and ingredients. When you have these parts done, it’s time to choose your ideal product that in these case can be these just like me. But let’s start with the fun part of all this which is: me trying out these products. I got this heat protective cream because I am used to using heat protective sprays and not creams. A major plus were the ingredients, so you are not only protecting your hair from the heat the hair tools is emitting but also giving it the proper love it needs. argan oil has been gaining more and more popularity for its benefits for hair and skin making your hair shinier and conditions it giving you a smooth finish. Also, did I mention its only $25.00 on their site and a major plus is that with a bit of product you can cover most of your hair and my hair is around shoulder length! 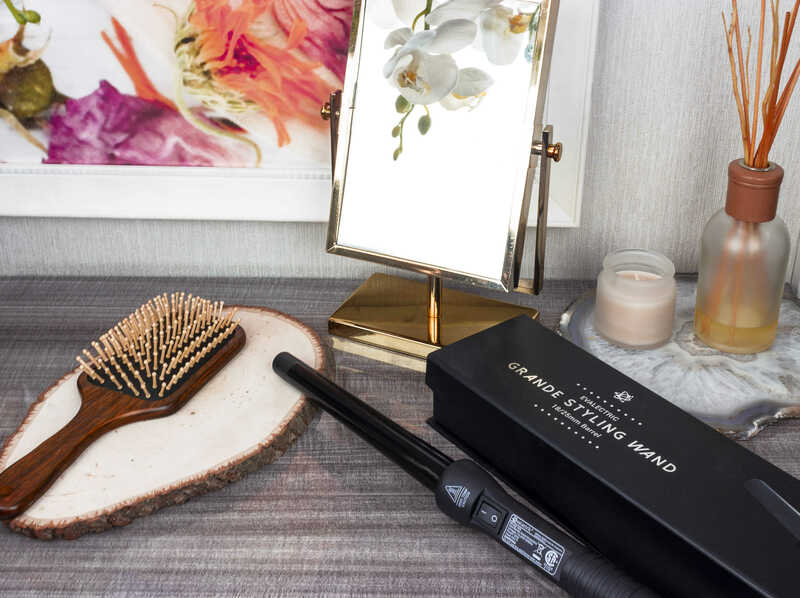 This straightener is THE straightener that we all need. This particular one has red LED light once you turn it one, and if you haven’t heard about red light therapy let me give you the reasons why you need it. Red Light Therapy promotes hair growth and releases negative ions that help reduce the appearance frizz, and seals your hair’s cuticle, which makes your hair extra smooth and when I say extra smooth, I am not kidding or lying to you. If you are worried if this type of light therapy is negative for you or will damage your hair then have no fear, this treatment is non-invasive and painless just let that LED light do its thing. You literally won’t feel a thing. This straightener has 6 small dents on its plates where the red light will be appearing once turned on. 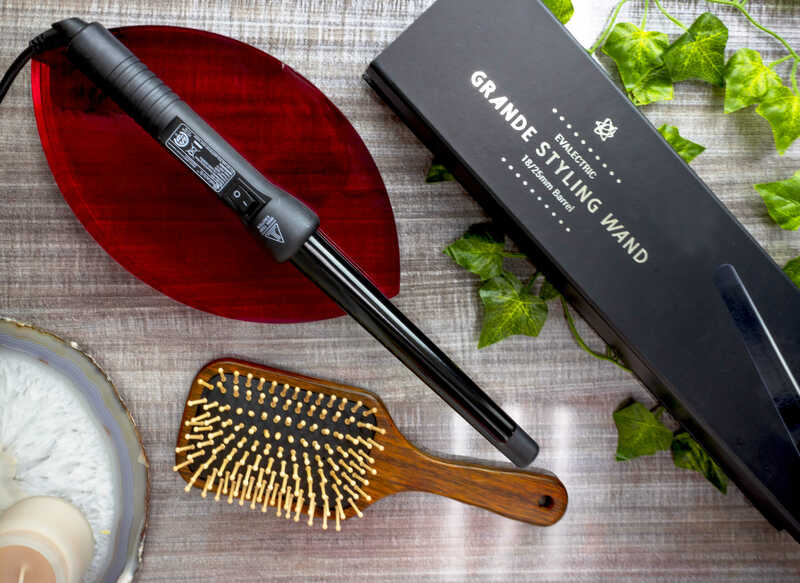 A major plus about this straightener is that it has 1.25″ Aluminum Plates with Ceramic Oil Coating that will make your whole hairstyling experience an easy and smooth one. 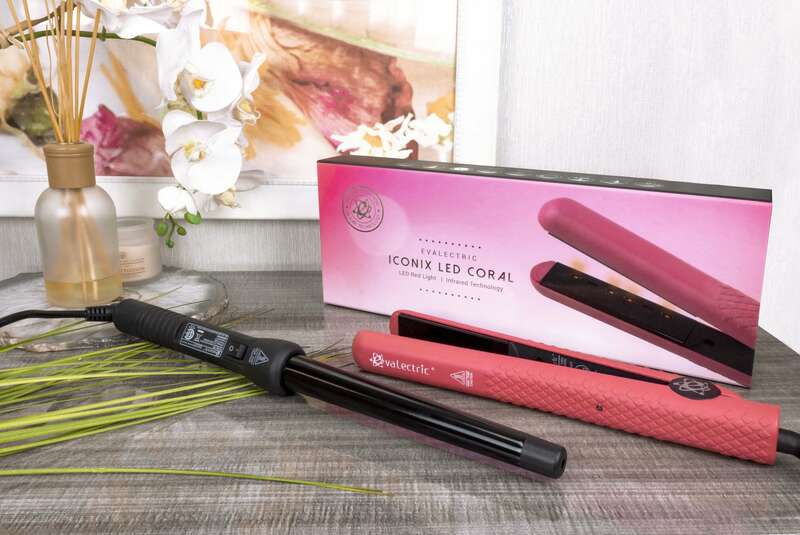 Other awesome features this straightener has heat temperature control, 360 swivel cord and dual voltage which makes it ideal for traveling. But let’s get into my experience, I have used different types of straighteners, all sizes, and plate types but this particular one had me shocked after straightening one piece of hair. Because of its aluminum plates with ceramic oil coating, it makes the whole process is so smooth, the plates glide softly and just leaves your hair, well, if I’m being honest, perfect. Your hair ends soft and smooth, this because of the combination of plates and the LED lights. I have used other straighteners that leave my hair feeling dry and prone to breakage compared to this that left my hair looking great. 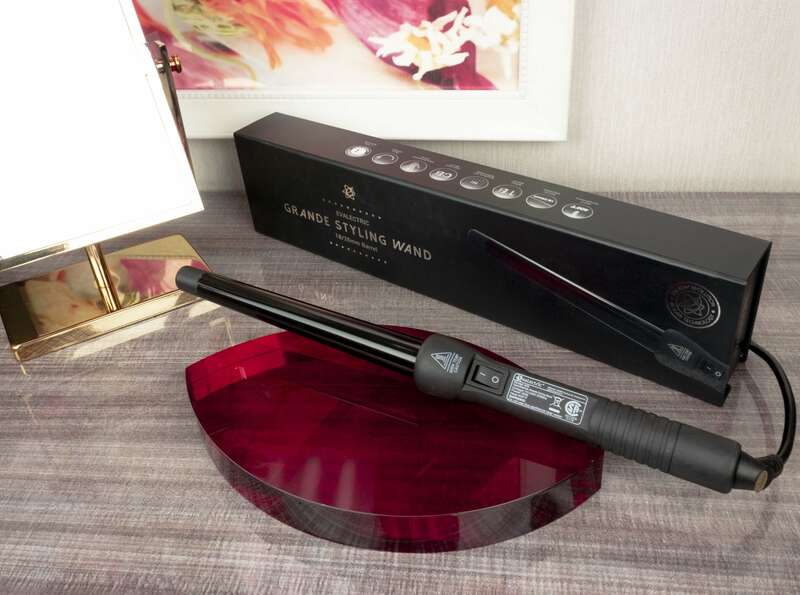 This type of straightener will go well with people with frizzy, wavy or curly hair compared to straight. 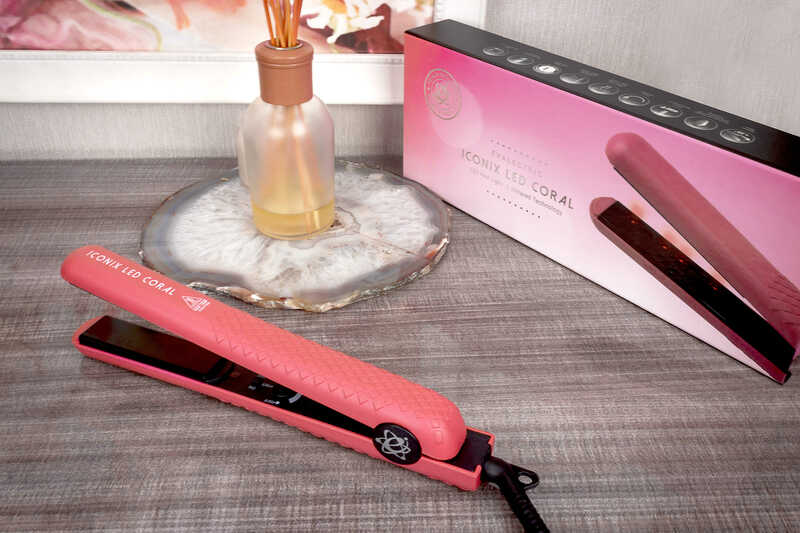 But if you do have straight hair and want to try out the Red LED Light therapy, then maybe you can use the straightener in its lowest heating temperature. 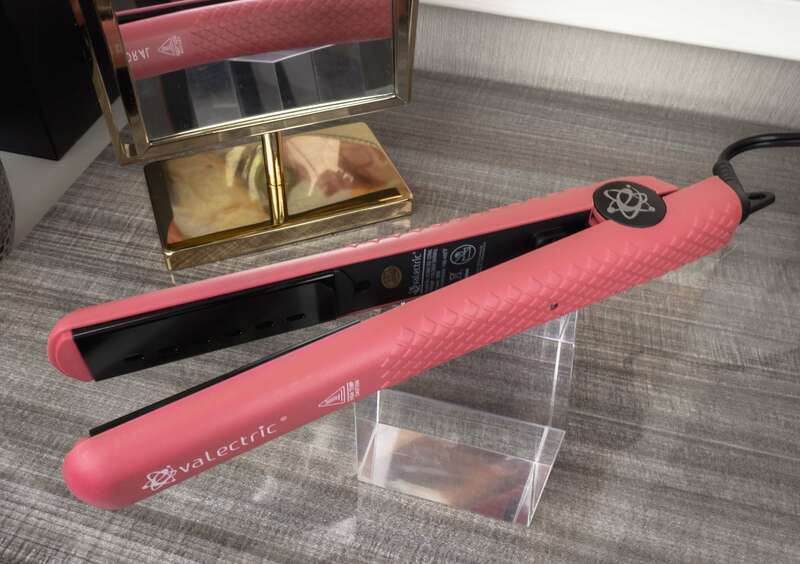 This straightener heats up from 180 to 450 degrees Fahrenheit, which is a good scale that works for different types of hair. Would I recommend you to use this product? For sure, I think it’s great and I am very impressed with how it works and how my hair ends even with all the humidity I have around. I’ve been using it since I purchased it and I am pleased but important and I will continue mentioning this, with any hair tool that you use that heats up, please use a heat protective cream or spray before using them. Not using this will cause hair damage, and breakage and you don’t want that happening to your hair. I purchased a curling iron because I wanted to try each hair tool the Evalectric line had to offer. I particularly got this one because of its 25 – 18’ barrel which is the type of barrel I prefer to use and is good in ratio for creating curls or waves. As I’ve mentioned throughout this entire article, I have straight to wavy hair; it is not really defined so when I feel like having a bit more of a wavy hairstyle I use a curler to make it a presentable wavy and not unruly. Because of its barrel, this curler is ideal for making soft curls, waves and more of a big curl, so if you are searching for tight curls or more defined curls this may not be the curler for you. Now, to the important part the benefits of purchasing this curler. Let’s begin with my favorite, a clipless barrel, which makes it easier for you to curl. 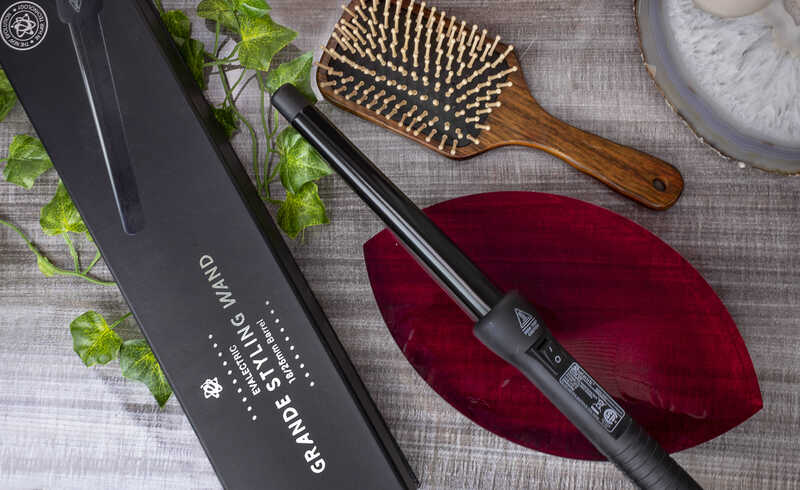 In addition, it has Teflon barrels that that protect your hair from the high heating temperatures and it also has far infrared technology that also helps with how the heating temperature works making it gentler for your hair to cause less damage. A BIG thing that I love about this curler and most Evalectric products is that it has Negative Ion Technology this eliminates static while sealing the hair cuticle and to understand this or make it simple it technically makes your hair soft and frizz-free while styling it, please tell me I am not the only one that thinks that this is awesome. 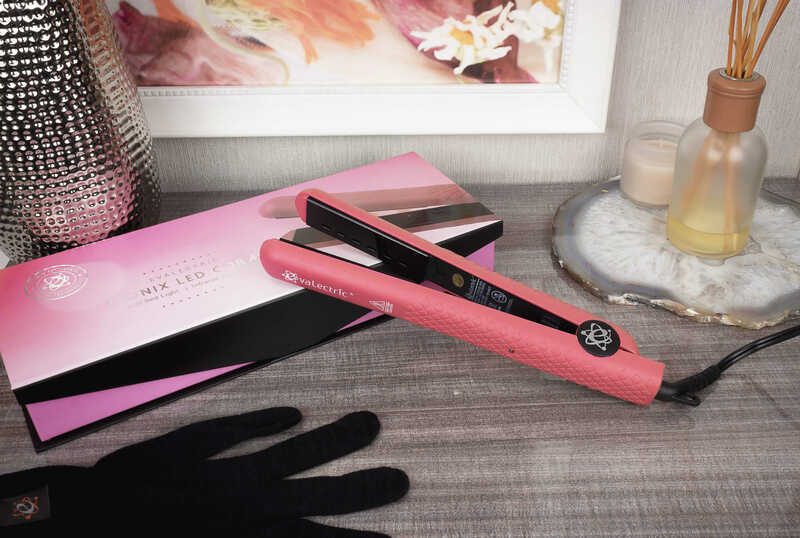 Just like the straightener, this curler has temperature recovery which means it will cool down fast, so you won’t have to worry about it damaging or putting it away after using it. It also has a 360 swivel cord, dual voltage and a year warranty. But did I mention this is a Limited Edition Curler? If you don’t have yours, it’s time to go check it out. My experience with this curler was really nice. I washed my hair and dried it as I usually do. After that I applied heat protective cream and divided my hair into sections. Because I like my waves to be big and wavy I grabbed about of inch to an inch and a half of a hairpiece and curled it around the barrel and waited not more than 10 seconds before releasing the hair. And the result, you may ask? Gorgeous waves, after doing all my hair, the waves/curls were really easy to manage, my hair felt super smooth and soft and the curls didn’t look stiff. If you want to change up your hairstyle or you have an important date and you want to impress I fully recommend you to use this curler. I especially recommend it if you want soft curls and more of a big wavy look it’s perfect. But before continuing with my overall experience with these products I cannot stress enough about how important it is to apply this before styling your hair this has to be marked as your number one rule before hairstyling, as I mentioned before try this one or other which cater to your hair necessities. It’s important that before using a protective cream or using a hair tool you research about your hair type and what will work with you. Using products that are not ideal for your hair type can lead, to breakage, frizz, and can extremely damage your hair. So, always remember to do that research before purchasing. Overall my experience with these three Evalectric products was awesome, and I am intrigued to try out some other products to see if they work just as good. I got these three in particular for all the reasons I mentioned above, but they have a big range of hair tools, with ceramic, aluminum and Teflon barrels and plates that can work for you, which also include super cute designs and colors, that lets you pick your perfect hair styling tool with all the extra features. They also have an extensive hair care line that includes hair mask, serums, sprays, and heat protective creams. 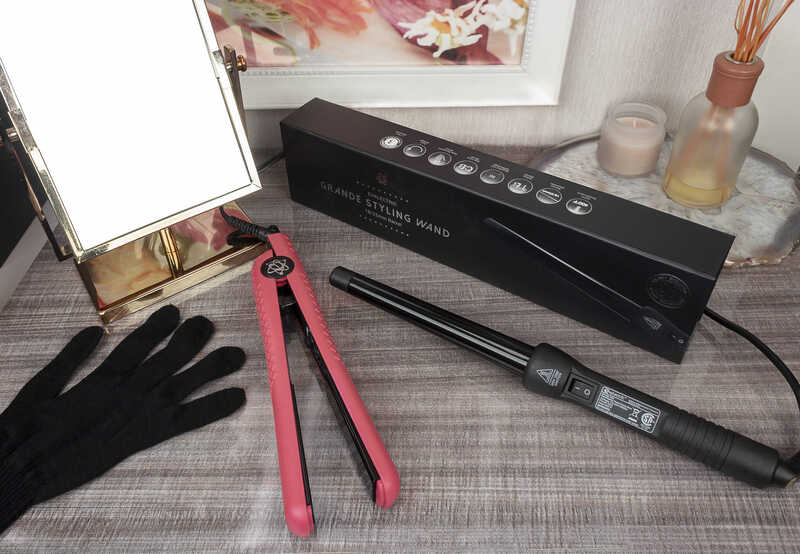 What I particularly liked about them is that mix of high technology with a variety of products to choose, it’s having salon professional products but at the palm of your hand wherever you are, which I think it’s awesome. This, in particular, makes Evalectric awesome. You are paying for a product that is used by professionals but is also easy enough for you to use at your home or during a trip because they all have the dual voltage feature. 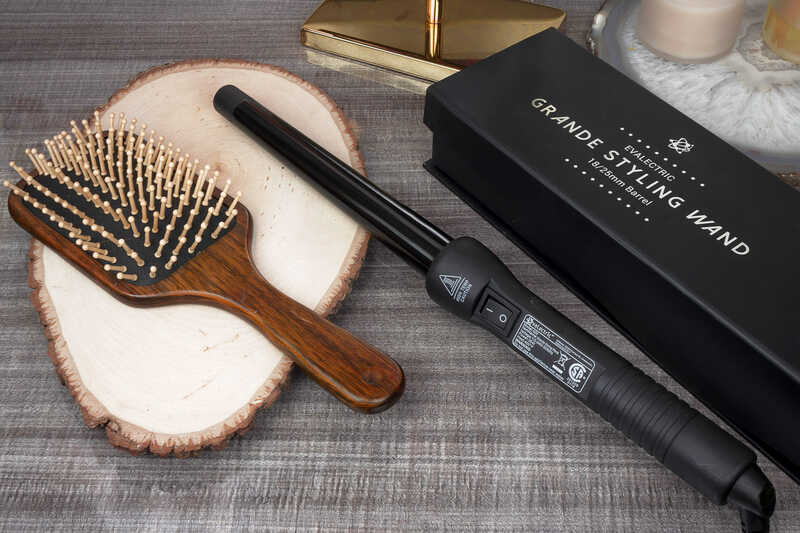 If you are interested in know more about all the awesome hair tools, accessories, gift sets and products you can check out their webpage here, and if you want to learn some awesome hair styling tips, styles and trends check their Facebook here. This entry was posted in Hair and tagged Evalectric, hair care, hair styling, product reviews, Review.